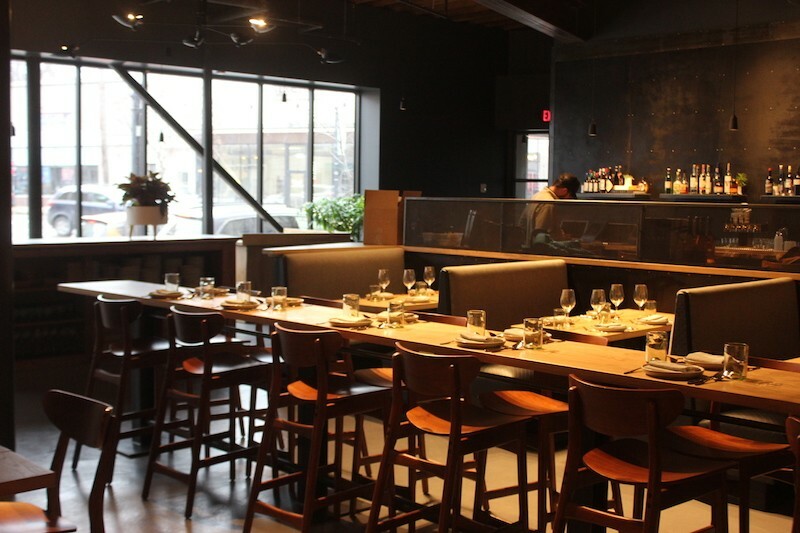 Elmwood features a long communal table, in addition to more traditional seating. 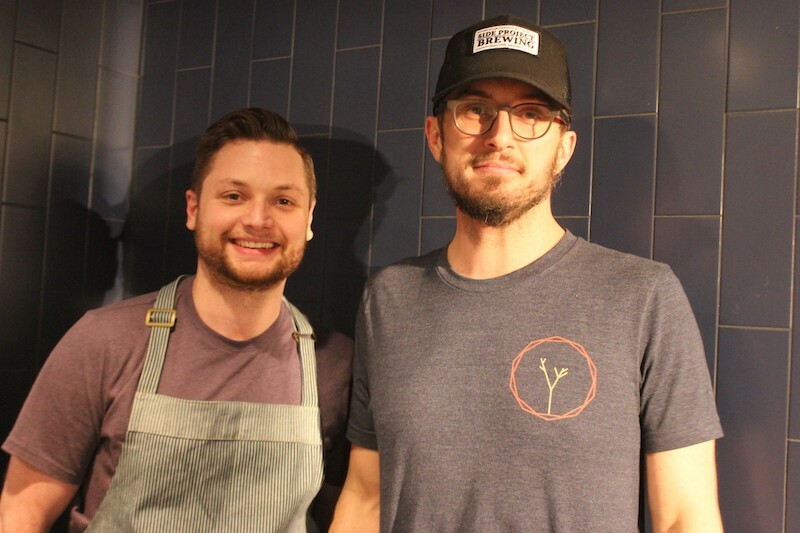 After years of working at some of St. Louis' most acclaimed restaurants, tonight Chris Kelling and Adam Altnether will finally unveil what they can do when their only boss is themselves. 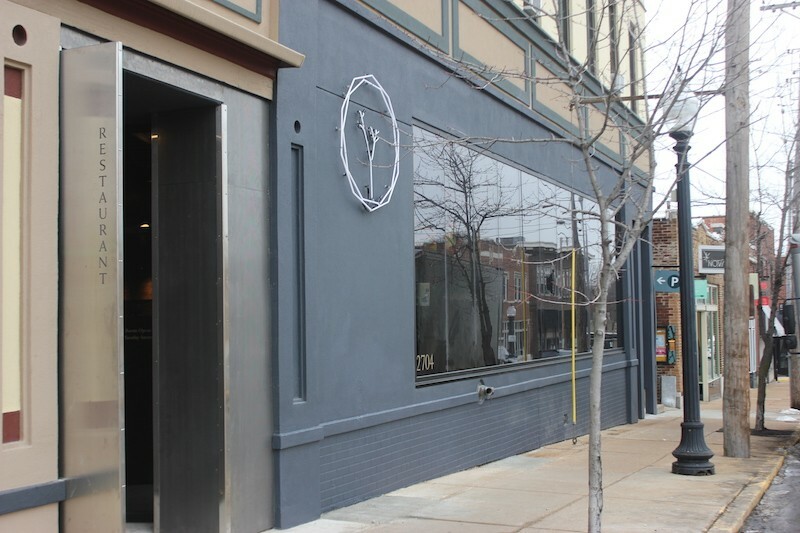 Opening four months after its initial goal of September 2018, Elmwood (2704 Sutton Boulevard, Maplewood; 314-261-4708) is one of the year's most eagerly anticipated newcomers, with a menu of charcoal-fired offerings and a sophisticated space in Maplewood's thriving downtown district. But before they could serve their first meal, the two rising stars in the food world got a crash course in a completely different skill set: demolition. 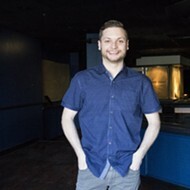 The pair had signed a lease for half of the former Live Juke Joint Dueling Piano Bar, which needed a major overhaul. And when they sought bids for demolition work, no one even bothered to get back to them. "The trades were busy this summer," Kelling says. "And we got to the point where we needed to get started." Relying on advice from Altnether's father, a retired union carpenter, they decided to start the project themselves — and ultimately cleared away 12,000 pounds of rubble. "We thought, if we're tearing down walls, let's just do everything we can ourselves," Kelling recalls. "We were here all summer getting it ready for the tradespeople to come in." The wood isn't elm — it's white ash — but there's plenty of it on display. Those efforts (along, of course, with those of the professionals who followed) have resulted in a space that's elegant without being stuffy, modern without being austere. A thirteen-foot slab of black walnut forms the bar, which runs alongside one wall. A row of booths divide the bar area from the main dining area, with a long communal table and plenty of small tables and chairs providing seating that either faces the huge glassed-in windows along Sutton or an open, glassed-in kitchen in the back. 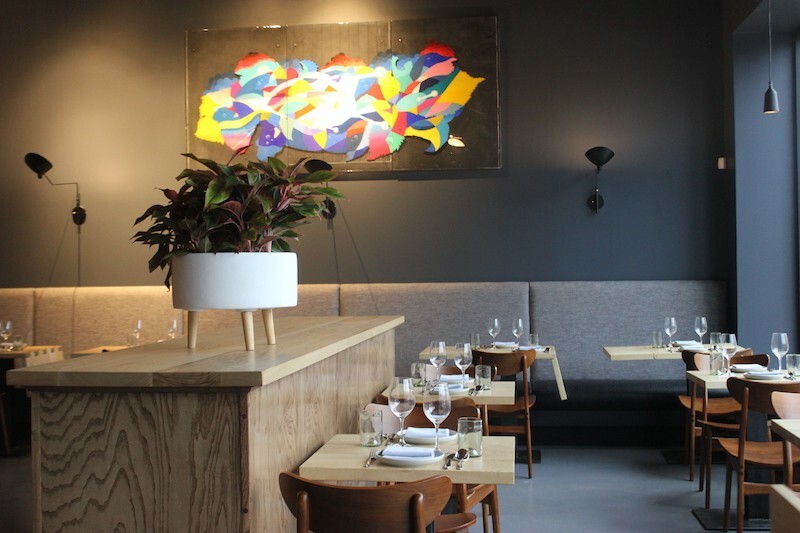 But if the space is eye-catching, they're confident the food is going to be even more so. 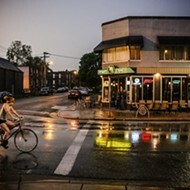 A star chef who opened Taste in the Central West End in partnership with Gerard Craft, Altnether promises Elmwood will be different than anything St. Louis has tasted before. "It's a lot of newer, bolder flavors," he promises. "There's nothing super-traditional here. I'm fully prepared for people to say, 'That's not for me.' That's fine. Not everybody's going to fall in love with everything." Adam Altnether, left, and Chris Kelling. To that end, he describes mussels with Szechuan flavors and lamb cruda, with raw lamb spiced in the style of Indian street food. 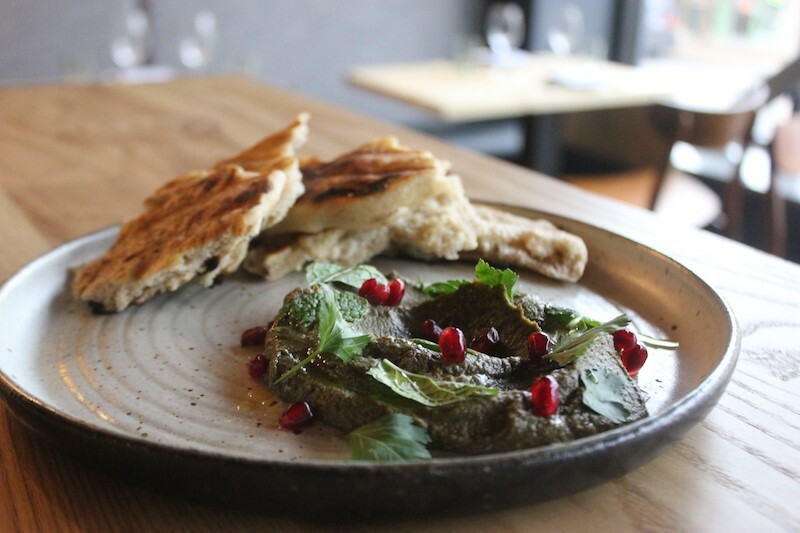 Even the appetizers are interesting; instead of baba ganoush, Altnether serves a charred sweet potato dip, with yams buried in coals until they're fully cooked, then mashed and served alongside thick, rustic flatbread. Those innovative dishes are thanks to Elmwood's oven, a custom-made Josper that relies on, yes, charcoal, and is the only one of its kind in the U.S. "Everyone's doing wood-burning ovens, and that's great," Kelling says. "That's what we like to eat, too. But it's nice to do something different." Sweet potato dip is studded with pomegranates. Still, they promise they'll also keep things accessible for less adventurous diners. 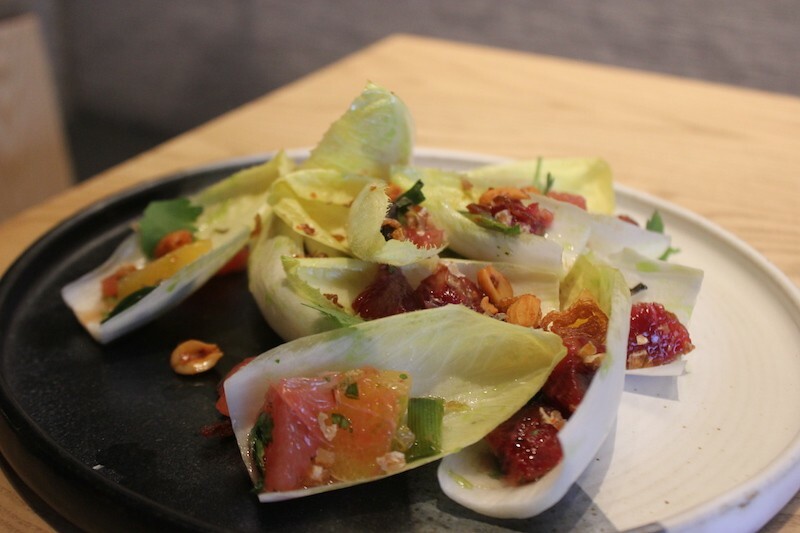 Just witness the lovely citrus salad, served on Belgian endive and tossed with peanuts and cilantro, for proof that the kitchen can also handle seasonal classics. 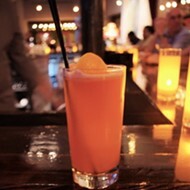 The drink menu will also innovate, without pushing things into the esoteric. 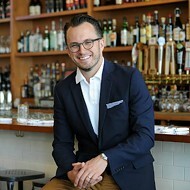 The bar program, run by David Greteman, will feature not just wine and beer, but a selection of cocktails separated into high-proof, low-proof and zero-proof (a.k.a. mocktail) categories. At any rate, the two young restaurateurs are convinced the city is ready for what they're cooking. 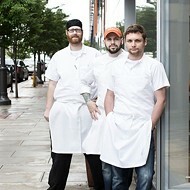 Since Altnether opened Taste in 2011, "things have evolved immensely," he says. 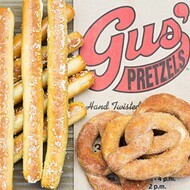 "People are excited about good food now. When they come in, they're expecting a great meal." And unlike demolition, that's something this pair how long known how to deliver. 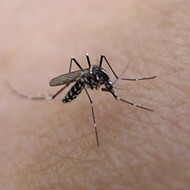 Beginning this week, Elmwood is open Tuesday through Saturday at 5 p.m. 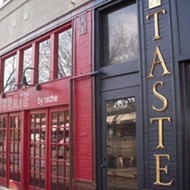 The last seating on Tuesday through Thursday is 10 p.m.; on weekends, it will be 11 p.m. And in February, they intend to start opening the bar with a limited snack menu at 4 p.m.